Discounted blocks have been reserved at the below lodging locations with various cut off dates. Please see below for specific cut off dates. All rooms are subject to availability and regular rates. Please use the direct links and/or access codes to receive the conference rate. Booking accommodations does not register you for the conference. Please register via the conference registration fee and information page. To book at University Housing, click here. To reserve a room with University Housing, please complete your online reservation no later than Thursday, July 18th. 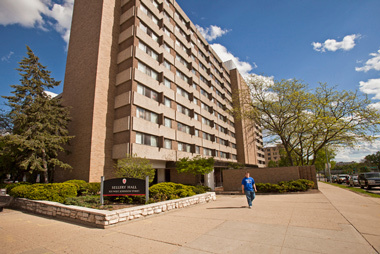 Conveniently located in the southeast area of the University of Wisconsin-Madison campus, participants staying in Sellery Hall can enjoy the close proximity to the Memorial Union (.3 miles / approximately 3 blocks), are within walking distance to a vibrant shopping and entertainment district and located on the city bus line. Sellery Hall is in close proximity to the Gordon Dining and Event Center. To make a reservation call the hotel at (608) 257-4391 or (800) 589-6285 or book online here. Please let them know you are with the Phages Conference when making your reservation. All reservations must be made by Friday, July 5, 2019 in order to receive the discounted rate. The Graduate Madison is located in the heart of downtown Madison on the University of Wisconsin campus, steps from State Street dining and shopping. As a guest of the Graduate, you are invited to enjoy all of the following services and amenities: Poindexter Coffee, Camp Trippalindee, rooftop bar with sweeping views of the Capitol and Lake Mendota, 24 hour fitness center, Complimentary shuttle service. To book at the Doubletree Hotel please call (608) 251-5511 and use the code “PH8” or book online here. All reservations must be made by July 11, 2019 to receive the discounted rate. To book a room at the Lowell Center, please call (608) 256-2621 or 1 (866) 301-1753 or book online here. All reservations must be made by July 8, 2019 in order to receive the discounted rate. 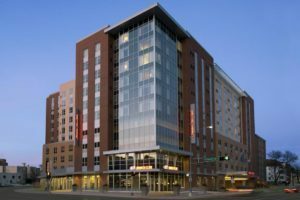 Conveniently located near the conference venue, participants staying in Lowell Center can enjoy the close proximity to the Memorial Union (.3 miles / approximately 3 blocks), are within walking distance to a vibrant shopping and entertainment district. An expanded continental breakfast is included in the room rate. Guest parking is available on-site for $10/night (please make parking reservations in advance). There is an indoor swimming pool with sauna and fitness room. 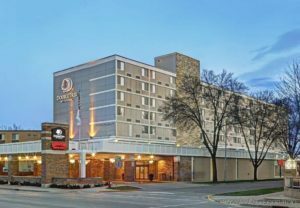 Reservations may be made by calling the Hampton Inn & Suites Madison Downtown direct at (608) 255-0360 and use the code or book online here. All reservations must be made by TBD in order to receive the discounted rate.